Patient data is at the heart of precision medicine, but privacy concerns and unanticipated use cases could cause problems for large-scale research efforts. The Precision Medicine Initiative (PMI) is generating a great deal of excitement among researchers, clinicians, developers, and patients with an eye on curing cancer, managing diabetes, or eliminating Alzheimer’s disease. With unfeigned enthusiasm from the current administration and wholehearted commitment from top federal agencies reveling in the promise of steady funding for research and development, the Precision Medicine Initiative holds the promise of unlocking a new world of tailored, personalized care. But with opportunity comes responsibility, says Gerard Nussbaum, Director of Technology Services at management consulting firm Kurt Salmon, especially when patients are entrusting their most personal data to research organizations and potentially breachable data banks. Understanding the nation’s changing attitudes towards consent and data sharing – and developing regulations that are both firm and flexible to meet future challenges – will be essential if the healthcare industry is to continue building the foundations of a system that can truly harness what precision medicine has to offer. Just getting to the point of turning the PMI into a national effort has taken years of difficult, anonymous, and often under-funded work, Nussbaum told HealthITAnalytics.com. While many these efforts have resulted in important new discoveries that have saved countless lives, the fragmented nature of the research community has also produced problems that may be familiar to any EHR user: the slow build-up of sub-optimal practices that collect into insurmountable roadblocks. One of these problems is the growing disconnect between current patient privacy regulations like HIPAA and the quickly evolving opinions of the public, which is now used to splashing their secrets across the internet. As smartphones, wearables, and mHealth apps change consumer attitudes towards when and where it is appropriate to share personal information, existing legislation may soon appear to be an antiquated relic of a pre-internet society, where social media didn’t exist and the genetic testing was too time-consuming and expensive for the average patient to think about. But thanks to next-generation genomic sequencing techniques that have started to bring DNA testing into mainstream clinical care, the conversation over the data typically collected for precision medicine efforts has to become significantly more nuanced. For traditional research or population health management, that may be true, he said. But introducing genomics into the equation fundamentally changes the nature of the game. The questions about patient privacy and consent don’t end there. Innovation happens much faster than regulation, and even the most well-intentioned lawmakers cannot predict the future. Rules that attempt to govern the usage and distribution of patient information for precision medicine must be stringent enough to prevent violations of current standards, but open-ended enough to cover situations that may not even enter the imaginations of this generation of stakeholders. “What we can do today in terms of using genetic information is a small subset of what we’re going to be able to do in five or ten years,” explained Nussbaum. Precision medicine researchers also run into problems when it comes to reusing patient data for additional projects. Patients may not always be aware of how their information will be used in the future – nor do they always have control over where their data might end up. Patients volunteering for the Kaiser Permanente Research Bank, for example, are warned in the fine print of the consent documents that their deidentified information could land in the hands of the National Institutes of Health, and may be used again and again by the wider community of medical researchers in ways that did not explicitly receive their consent. “Studies that use samples from the KP Research Bank may receive grants from the government through the National Institutes of Health (NIH) and other agencies,” the consent document explains. Patients may not ever know where their contributed information will travel during secondary or tertiary uses of their data. That may not bother some volunteers, but could be a disturbing concept for others. 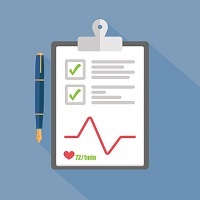 While the instant gratification of securing a friend’s “likes” on a health-related update may be encouraging consumers to share their personal information through every available medium, data collection for the PMI will still be a formalized affair. The NIH and other entities overseeing data aggregation projects are hoping that provider organizations will become major partners for patient recruitment. Clinicians might be in the perfect position to collect a little extra blood during a routine physical or add a quick cheek swab to a wellness visit, but physicians may not feel as if they have the time, expertise, or interest required to educate patients about the PMI Cohort or address the serious consent issues involved in participating. “We can’t seek to turn our physicians – especially in primary care – into the experts on this,” Nussbaum said, because they have far too much on their plates already. Physicians will likely balk at the idea of add extra steps to the workflow for the benefit of third-party researchers, especially since there is currently no reimbursement mechanism for completing those processes. Instead of having the physician add five or ten minutes to their appointments by explaining what the PMI is and why their patient may want to participate, “maybe what we should have is a patient educator to talk about these issues,” he suggested. Professional societies, specialists, and patient advocacy groups are also likely to take a starring role in patient education and encouragement, he added. When data collection efforts are focused around a particular condition or disease, they can be highly successful.